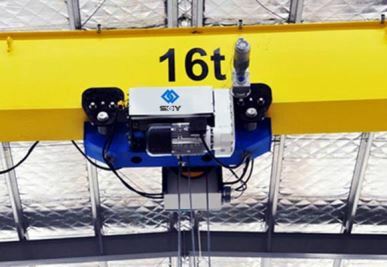 HD Europe standard single Girder overhead crane is our new designed crane for the low workshop and high lifting height demands. 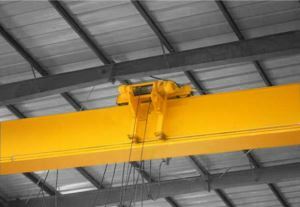 It has many advantages such as: Strong rigidity, light dead weight, outstanding structure design, etc. It could save your factory space and investment effectively. Its technology is advanced and design is based on international standard: DIN (Germany), FEM (Europe), and ISO (International). Its particular and special travelling structure is your best choice. 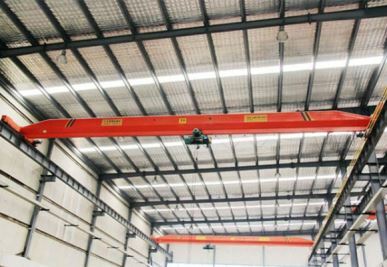 HD electric single girder overhead crane could be widely used to handle materials in many industries' workshop and warehouse. such as machinery manufacture. warehouse. logistic. food. paper making, electronics industries workshop and other material handling situations. 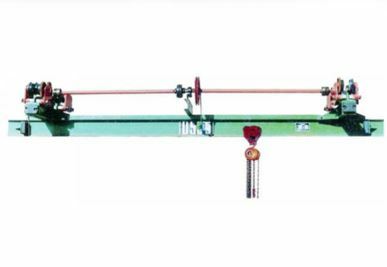 The lifting hoist adopts M5 working class with double lifting speed. motor with ABM German brand motor. Travelling motor uses SEW European brand in one motor gear motors. Cross and long traveling are variable travelling speed. Electric parts adopt Siemens brand. The protection class is IP 54 high class. The working class can reach to A5/M5 class under ISO standard. The components are positioned in a maintenance friendly way, and the whole layout provides good protection against accidental contact. Cables are coded either with numbers, colors or tags for easy identification. The flat cables used for festoons are PVC insulated flexible flat cables rated for 450/750V, specially designed for cranes, hoists. 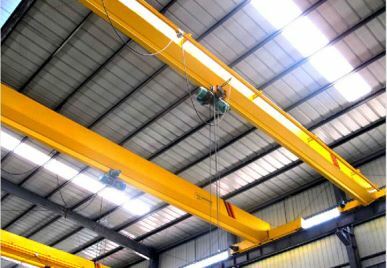 Festoon cables are suspended on cable saddles, fixed to cable trolleys, running in a galvanized C-track, which is connected to the main girder with bolted or welded support brackets.